The concept of a collective antahkarana cannot be easily found in the theosophical literature. Yet the actual existence of collective connections to higher realms of consciousness is not difficult to perceive. Seen in itself, the concept refers to the individual life. But there is no actual separation between different beings. Individual and collective lines of evolution interact with each other all the time at the various levels and sub-levels of consciousness. Human individuals influence each other, mutually stimulating or hindering their connections with their higher selves. In every society there are cultural characteristics, collective activities and even institutions that enhance or endanger the working of individual Antahkaranas. There is also the collective impact caused by the work of each Messenger of Truth. History, ancient and modern, has shown that the individual lives of highly evolved beings have a definite impact on the collective karma, sometimes over long periods of time. They create bridges towards higher streams of consciousness which affect millions of lives; and these lives, in their turn, gradually change the whole of humanity. As one calmly thinks about this, a wide, abstract, flexible concept of “collective antahkarana” may start to make sense. The life of H. P. Blavatsky in the 19th century is an example of that. Her tremendous impact in human history was documented by Sylvia Cranston. H.P.B.’s teachings and the school of thought she left in the world are permeated by magnetism coming from higher sources and pertaining to abstract levels of consciousness. The quality and importance of the higher magnetism emanating through H.P. Blavatsky’s work derives from the fact that she was a direct agent of those sages who are called Immortals by Taoism, Rishis or Jivanmuktas by Hinduism, Arhats by Buddhism, and raja-yogis or Adepts by the esoteric philosophy. 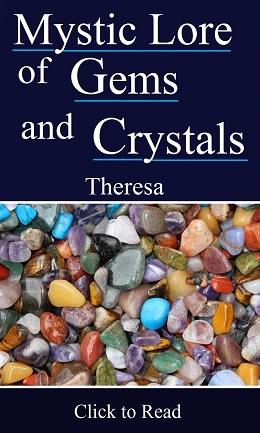 The presence and influence of her writings is a central part of the present-day cultural bridge between human civilization and higher levels of consciousness. H.P.B.’s work also constitutes a subtle, higher-manasic “bridge” to future stages of human development. Such a vibrating current in the ocean of life does not include all of the theosophical movement, though, for a large part of the movement is only nominally theosophical. HPB said so in her own time, and so did her Masters. It is easy to understand that no external label can ever guarantee the authenticity of anything. The enlightening impact of H.P.B.’s work on human evolution exposes and displaces various levels of routine, and the reaction against it has been strong. Since the 1880s, theosophists have had to defend the teacher and the teachings against numerous attacks coming from dogmatic religions and also from inside the theosophical movement. Life is probatory, and every student of theosophy has to face tests. 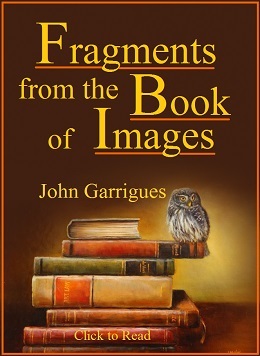 From Pythagoras of Samos to Apollonius of Tyana, as from Alessandro Cagliostro to H.P.B., attacks against Messengers of Truth always threaten the sources of human inspiration and aim at damaging the cultural and occult bridge to the higher realms. The Angels are the Messengers of the “Gods” among human beings. They inhabit the Divine Ladder, the eternal and Unbroken Link between Masters and Men. Such a complex notion transcends all metaphors used to describe it. This link is a global connection between the higher and the lower. The impact of HPB’s work for humanity, certainly including several incarnations of the spiritual soul of which she was but one life, is a significant element of our present-day collective antahkarana. It will constitute a stone, among countless others, in the long-term and time-honoured Guardian Wall. Theosophical literature has a number of references to the collective bridge linking mankind to higher levels of consciousness. As Manas and Lower Manas contain Antahkarana, H.P.B. was implying that the theosophical movement, the E.S. and the I.G. of her day formed something similar to a collective Antahkarana. H.P.B. saw the role played by William Judge in the making of a permanent spiritual link between the Americas and the eastern esoteric philosophy. In the 20th Century, she wrote; and the Messenger didn’t show up. But Masters do not have to give to the public the exact dates and timing of what they do for mankind. We should be content with the small elements of information we are able to gather about this work. We have H.P.B.’s word that there may be another Messenger. We are not in a position to complain if we have to wait for another 100 or 200 years. We must be willing to fulfil whatever task is in front of us, while understanding that our lifetime is part of a much wider perspective. That plan every student can help fulfill. And Theosophy teaches that Karma is about affinities. As long as no new Messenger or Messengers appear in a way that is easy enough for all to see, the students of theosophy are the caretakers of the work-to-be-continued. Each student is a Messenger within the limits of his own possibilities. For many of them, it can be a stimulating task to help defend and preserve - for an unknown amount of time - thos karmic patterns of the heart of the esoteric movement which a greater Messenger will, sooner or later, have to face, select, adapt and use again, adding new strength to the long term progress of mankind as a whole. Such karmic patterns and tools include the teachings of modern theosophy. “The Theosophical Glossary”, by H. P. Blavatsky, The Theosophy Co., Los Angeles, 1990. See especially the Part Seven of the book “HPB - The Extraordinary Life and Influence of Helena Blavatsky, Founder of the Modern Theosophical Movement”, by Sylvia Cranston, published by Jeremy P. Tarcher/Putnam Books, New York, USA, 1993, 647 pp. “H.P. Blavatsky, Her Life and Work for Humanity”, Alice L. Cleather, Thacker, Spink & Co., Calcutta, 1922, 124 pp., see p. 72. “H.P. Blavatsky As I Knew Her”, Alice L. Cleather, Thacker, Spink & Co., London, 1923, 76 pp., see p. 04. “The Voice of the Silence”, translated and annotated by H. P. Blavatsky, Theosophy Co., Los Angeles, 1987, p. 74. In the TPH/Quest Edition (1992), see “The Voice of the Silence”, p. 68; the explanatory note (number 28) is at page 94 of TPH edition. See the Note referring to Rule 20, in the part I of “Light on the Path” (Theosophy Co.), a book transcribed by Mabel Collins. “The Path” magazine, July 1894, volume IX, page 124. Her “last incarnation” was probably not the one she was then closing, but the following one. “Last” could mean “last before liberation from unconscious rebirth”. “HPB - The Extraordinary Life and Influence of Helena Blavatsky”, by Sylvia Cranston, 1993, see p. 407. “The Inner Group Teachings of H.P. Blavatsky”, Point Loma Publications, 1985, p. 27. “The Mahatma Letters to A. P. Sinnett”, T.U.P., 1992, Pasadena, CA, USA, Letter LXXVIII, p. 378. “Letters That Have Helped Me”, by W. Q. Judge, Theosophy Co., 1946, pp. 277-278. The sentence is part of a letter written by H.P.B. Canadian author Ernest Pelletier reports that the magazine “Theosophia” published a reproduction of the original letter in its volume 7, March-April 1951, pp. 8-9. See “The Judge Case, a Conspiracy Which Ruined the Theosophical CAUSE”, by Ernest Pelletier, Edmonton Theosophical Society, Edmonton, Alberta, Canada, 2004, page 27 - Part I, Chronology. “The Secret Doctrine”, H. P. Blavatsky, The Theosophy Co., Los Angeles, 1982, facsimile edition, volume one, p. XXXVIII. 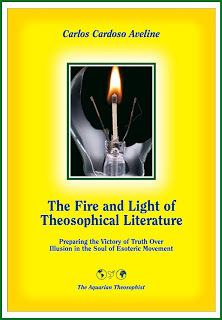 “The Closing Cycle”, in “Theosophical Articles”, by W. Q. Judge, Theosophy Company, Los Angeles, 1980, vol. II, p. 153. The same article is in the book “The Heart Doctrine”, W.Q. Judge, Theosophy Co., Bombay (Mumbai), India, 1977, p. 40. See “Theosophical Articles”, H. P. Blavatsky, Theosophy Co., Los Angeles, 1981, volume I, lower half of p. 120. The statement is also quoted at the book “H. P. Blavatsky, A Great Betrayal”, by Alice Leighton Cleather, Thacker, Spink & Co., Calcutta, 1922, 96 pp., p. 02. An initial version of the article “The Guardian Wall That Protects Mankind” was published at “The Aquarian Theosophist” in January 2006, pp. 25-30, under the title “H. P. Blavatsky And The Guardian Wall”. It was revised by the author in October 2011. 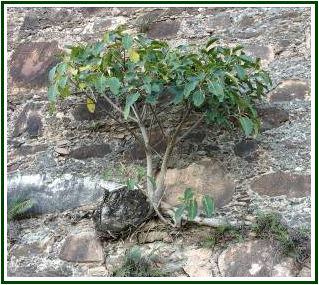 Its illustrations are photos of D. Pedro Segundo Fortress, in Caçapava do Sul, RS, Brazil.